Bank of America is once again in hot water when it comes to improper foreclosure-related practices: The banking giant reached a $5 million settlement with the federal government during the first week of January. The settlement covers various False Claims Act allegations brought by several individuals; a case which the federal government intervened in. Under the terms of the agreement, Bank of America will pay $3.4 million to the U.S., as well as more than $2 million to others involved in the case. These foreclosure practices—as well as various other practices—were the subject of a 2011 investigation by the U.S. Department of Housing and Urban Development. In its report, the government cited numerous questionable practices, such as using deceptive practices to offer loan modifications, relying on robo-signed affidavits in foreclosure proceedings, and improperly filing important court documents. The investigation ultimately resulted in a $25 billion settlement and agreement to revise mortgage servicing standards amongst big banks involved like Bank of America, Wells Fargo and others, and the Department of Justice. However, one of the plaintiffs involved in the current case alleges that Bank of America never intended to change its ways, regardless of its promises to the federal government. 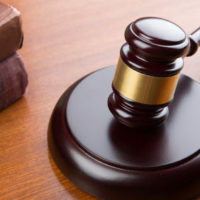 Specifically, he alleged that Bank of America made false claims to the government via continuing to try to collect on federal mortgage insurance benefits for foreclosures outside of the standards entailed in the previous national mortgage settlement. Allegedly, the company flouts the standards it promised to abide by. The False Claims Act imposes liability against those who defraud government programs. By intervening in the lawsuit or bringing its own, the government can bring claims such as these against companies like Bank of America for allegedly selling bogus mortgages to government-sponsored entities, such as Fannie Mae, costing taxpayers billions in doing so. If you are struggling with foreclosure, we can help. You have a number of rights that you may be unaware of, and the bank is prohibited from following certain unsavory, illegal practices. Contact our Sarasota, Florida foreclosure defense attorneys at Moran, Sanchy & Associates today to find out more.